Microsoft didn’t announce anything regarding a price drop during their E3 2018 Xbox briefing, so it looks like both stores were independently mistaken – as weird as that may sound. Retailer Fry’s Electronics listed the Xbox One X at $349 as part of their deals going live later today (for a limited time, until next Saturday, June 16th). It could have been a mistake, but the thing is, GameStop also lists the same deal as part of the Xbox Big Fun Deals E3 Week. What’s even more interesting, though, is that both websites mention that’s a $50 saving over a $399 starting price. 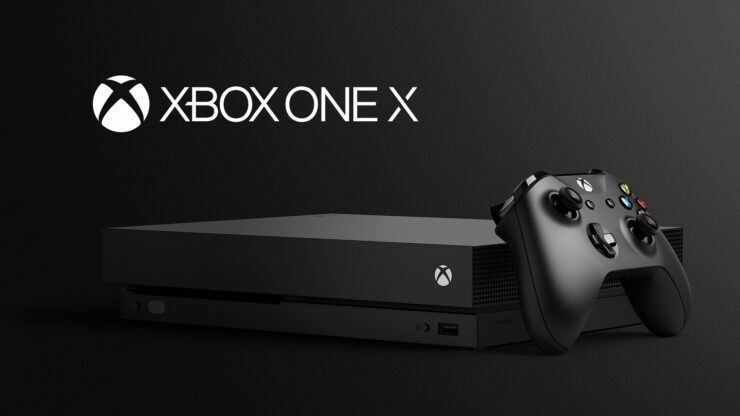 Of course, we all know that the MSRP for the Xbox One X is still $499 despite limited deals that a few stores have had since the console’s launch last November. However, Microsoft already announced a temporary price drop of $50 for two weeks (you can find more on the specifics and limitations of this offer below). The question is, then, whether a more substantial and permanent $100 price drop is to be announced later today, during the Xbox E3 2018 briefing. This would bring the MSRP down to $399 and, with the limited time $50, Fry’s and GameStop’s $349 ads would fully make sense. Needless to say, we’ll know in a few hours whether this is actually the case. Stay tuned. Offer valid from 9:00 PM PST on June 9 2018 to 11:59 PM PST on June 23, 2018, while supplies last. Available only in Microsoft retail and online store in the Unites States (including Puerto Rico). Offer valid only on Xbox One X. 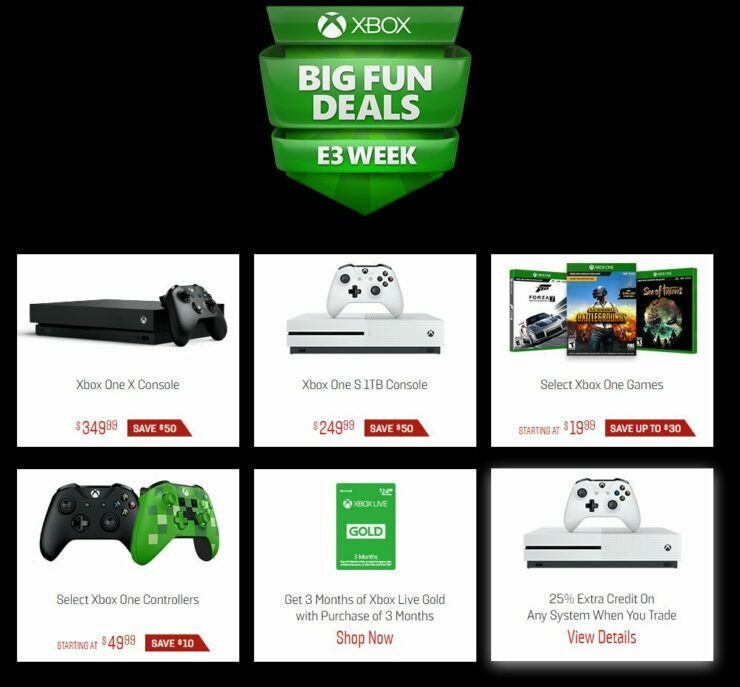 Excludes Xbox One S, refurbished and pre-order consoles. Not valid on prior orders or purchases; cannot be transferred or otherwise redeemed for cash or promo code(s). May not be combinable with other offers. Refunds will take into account the discount. Price discount does not include taxes, shipping or other fees. Void where prohibited or restricted by law. Microsoft reserves the right to modify or discontinue offers at any time. Limit of 3 offers per customer. Other exclusions and limits may apply.